The dawn of social media has drastically changed the course of digital marketing. Brands, both big and small, now have fairly equal chances of increasing their visibility to consumers with ad placements and a smart social media marketing strategy. It’s been found that brands allocate 10% of their current budget for social media marketing and will see a steady increase to 25% in the coming years. If you’re working with a limited budget, you may feel like you’re falling out of the race. Today, we’ll be helping you develop a more efficient and precise strategy that works perfectly with the budget that you have. Talking to just about everybody on Facebook or Twitter is a big waste of marketing time and resources. If you want your marketing strategy to provide the results you want, you must focus on precisely targeting your ideal customer. Developing a painfully specific buyer persona should help you narrow down your list of potential customers into a more precise set of leads. Studies show that 71% of brands who exceed their target revenue use a buyer persona to help them zero-in on their prospective clients. 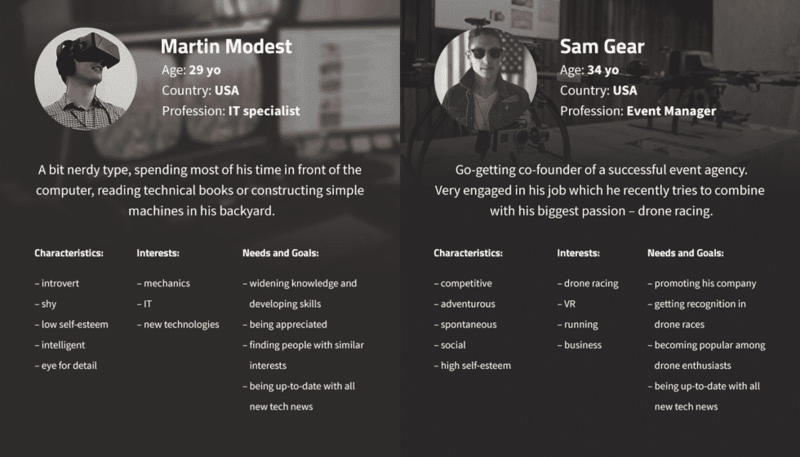 The image shown above is an example of a highly specific buyer persona card. Your version should contain specific information like age, location, profession, interests and the like to help you get an in-depth overview of your ideal customers and where they hang out on the internet. If you want your campaign to succeed, you have to stop selling so much. This may sound counterproductive, but providing people with valuable content elevates you from being just another brand into an authority in your industry. 70% of marketers believe that interactive, valuable content effectively engages buyers. An engaged pool of potential buyers gives you much better chances of increasing sales compared to an unengaged following. Excedrin is a popular headache drug, and this brand knows how to give their users timely, clever and useful information without having to actually sell their products. The pharmaceutical brand came up with a winning ad for the 2016 presidential election that was so entertaining and timely you wouldn’t think of any other medication for your debate-induced headache. Confining your lead hunting to social media will leave you at the mercy of the website’s native algorithm and filtered feed. But getting them to give you their email can be a challenge. It may be a challenge but it’s not at all impossible. One way to get your followers to give you their email is by giving them a valuable offer they can’t resist – for free. Giving away a free eBook is one of the most effective ways you can get people to give you their emails. eBooks are incredibly easy to make and it doesn’t even have to cost you anything if you do it yourself. There’s an eBook to be written for every niche, you just have to do a bit of digging. You can advertise your free eBook on social media and your website, asking people to sign up in order to get their copy. HubSpot knows how much their audience loves getting their hands on new marketing resources. Aside from helping them establish themselves as a digital marketing authority, they’re also able to grow their mailing list – a double win, if you ask us. Today, pictures do more than just paint a thousand words – they are also one of your strongest marketing assets. 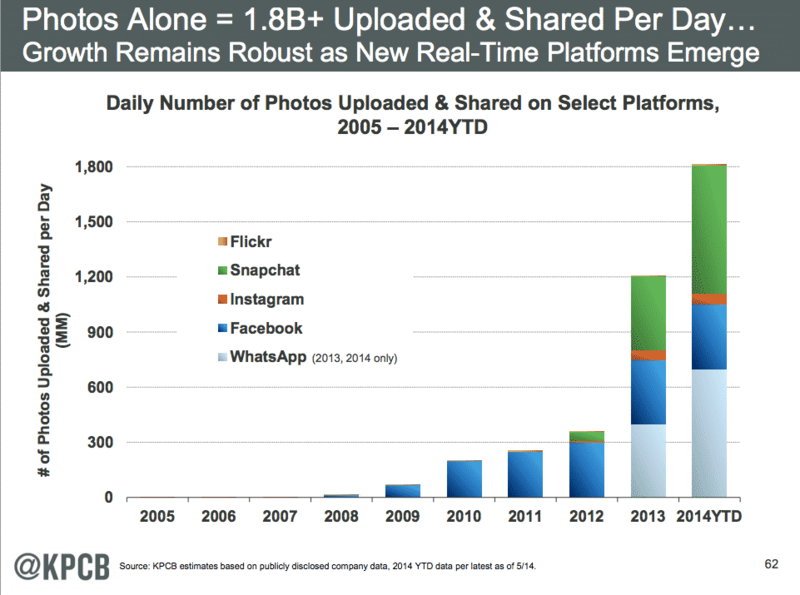 According to Mary Meeker, renowned internet analyst, the world uploads over 1.8 billion images a day. This just reiterates how much visual sharing has become the current and future trend of marketing. Images are also three times more likely to be shared compared to other forms of updates – that puts you one step closer to reaching viral success. Stunning visuals are most likely to stop internet users in their browsing tracks, giving you more visibility and raising brand awareness. Take Grammarly for example, an online tool with an impressive social media presence. They use stunningly simple images to stay on their followers’ radar. You don’t have to spend big bucks to recreate their success. You can take photos using your smartphone and lay them out using free web-based tools like Canva. With a little creativity and a few original snapshots, you can come up with engaging images for your campaign that people will love. 81% of consumers remember watching a video about a brand – that stat tell us that brands should invest a good chunk of their budget in video marketing materials. Intel is a global tech brand that uses a lot of videos in their campaign. They have no problem selling their electronics, but they still pay close attention to crafting great ads. Instead of creating videos that sell their products, they use YouTube as a platform to shed light on how their products enrich other people’s lives. Videos that sell the best are often those that don’t sell anything at all. Use videos to teach your target audience how to make their lives easier and better through the use of your services or products, or showcase people who have done just that. According to John Haydon, there are five types of engagers on the internet. Learning how to approach them can help you leverage your campaign to success. Below is a brief breakdown of how Haydon classified these engagers. These are the type of engagers who like producing their own content. They scour the internet for relevant resources to help them craft their posts. The BFFs are what we call micro-influencers. Their opinion and thoughts about a product or service are highly regarded by people within their personal network. Scout’s Honor signifies an influencer of massive proportions, someone who’s great at gaining the trust of others. These are people who have a cult following both online and offline. These are the restaurant critics of the internet. They share their bold opinions about every topic of interest and they don’t care whether they get on a brand’s bad side. These are the type of engagers you’d want to tap during a sharing campaign. They’re just like broadcasters except they don’t create their own posts. Establishing a respectable degree of social proof may come as a challenge to some, happening too slowly to make a real impact. This is a delay you can’t afford. If you want to grow an impressive following on social media, consider buying high-quality Followers from a tried and tested provider. The companies on our list are tested and reviewed, and in our experience they’ll deliver your followers as promised, with no delays. They also offer dependable customer support and transparent refund policies that protect your best interests. Buying followers can be the kickstart your social proof needs to speed up organic growth. Combined with a consistent and planned marketing strategy, bought followers can help you achieve your marketing goals a lot sooner than you expected. There are hundreds of analytics tools out there that promise to give you access to some exclusive data you can’t get anywhere else – but we all know that’s not necessarily true. These analytics companies work on a bait and hook business model that reels you in with free services and then jumps you with membership fees. The data you get from the free packages should usually be more than enough to help you develop a more precise strategy. If you want a more diverse set of data for your campaign, use several free tools together. Among the most popular tools out there are Buffer, Quintly, Cyfe, and Google Analytics. These tools have such robust dashboards you might not find a need to upgrade to a paid subscription anytime soon. Social media marketing on a budget is not about how much you’re willing to spend but how well you allocate your resources. A more precise campaign can be achieved with smarter allocation. Stop wasting your time, energy and resources on a strategy that’s not giving you the best possible results. Buying high-quality Followers from a provider you can trust is the best way to help your social proof grow without having to wait on the painstakingly slow process of organic growth. 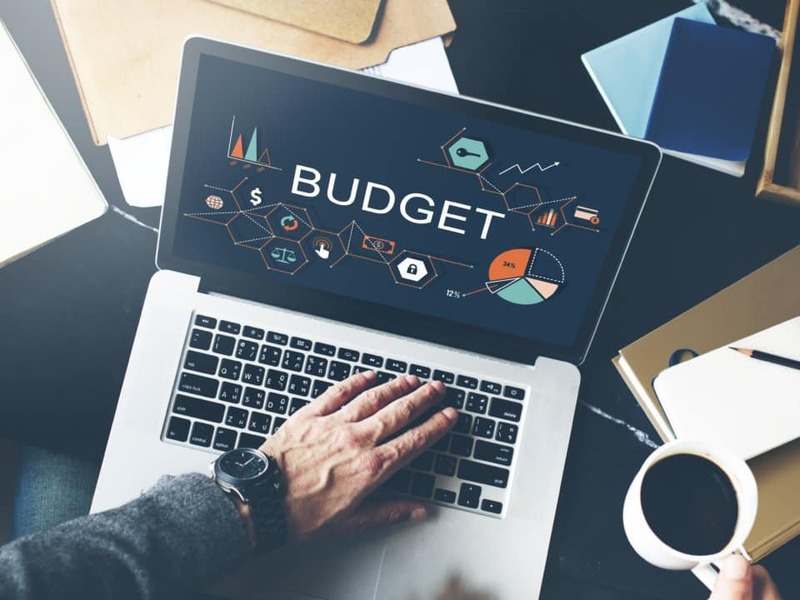 Despite having a limited budget, you can still compete with some of the big guys – you just have to be a lot smarter about how you spend your marketing money.